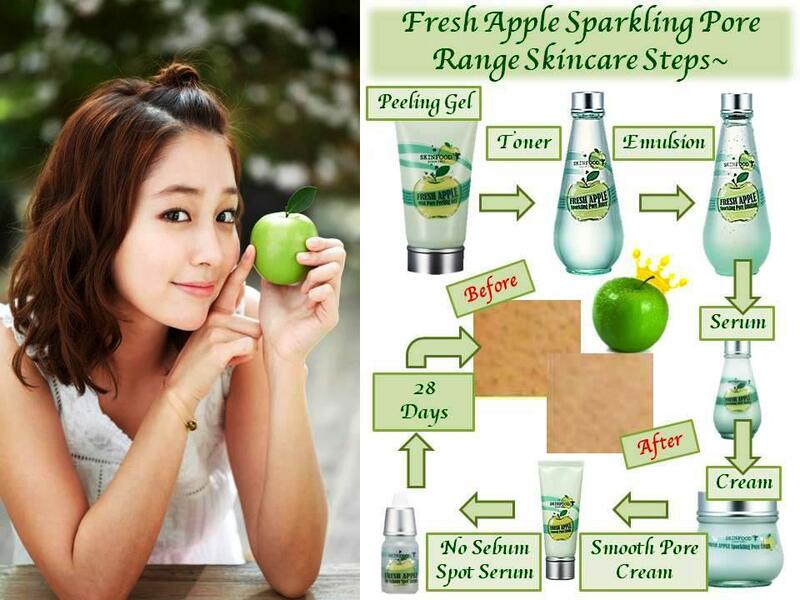 SKINFOOD has released a new line of Skincare range called Fresh Apple Sparkling Pore line. All the products are enriched with fresh unripe green apple extracts with high amount of Vitamin C and polyphenols (anthocyanin, quecertin & catechin) that help in scavenging free radicals and act as antioxidant. The bitter taste of the unripe green apples are mainly due to high amount of tannin which proven to normalize pore size and tighten inelastic skin effectively. Skinfood collaborative research with the Department of Food and Nutrition of Korea University, have found and discover the goodness of fresh unripe green apple extracts excellent for sebum control with pore tightening properties which helps to create baby smooth, poreless skin. Cooling pore-refining toners which work as antibacterial astringents to remove impurities while tighten pores with fresh unripe green apple extracts. Contains Cho Jung Carbonated Water that hydrates and eliminates rough skin. Controls excessive sebum production with Hydrotriticum PVP to lift up skin and normalize pore size. Hydrotriticum PVP: A polymer derived from wheat protein that increases skin’s density and tightens pores. Pore refining serum with matte finish, control oil and tighten pores. Intensive pore-refining cream that hydrates the skin. This pore finish cream controls oil and tightens pores with Evermat for silky smooth skin. This hypoallergenic peeling mask gently massage away impurities, oil and dead skin cells while drenches skin moisture with micro moisture capsules. An oil-controlling spot treatment serum with oil absorbing power to instantly absorb oil and keep skin matte. A skin balancing mask with T-zone Mask that regulates sebum production while tightening pore and U zone mask that hydrates the skin. Men’s pore refining toner with astringent and fresh unripe green apple extracts high in Vitamin C, Rutin, pectin, and tannin to controls excess sebum production. Wheat protein prevents sign of aging. Minerals in Cho Jung Carbonated water soften rough skin and tighten pores with fresh tingling sensation. Emulsion with lightweight texture, refresh and mattify the skin and instantly soften, hydrates and tighten enlarge pore. 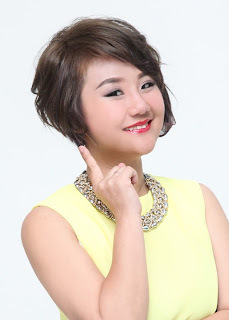 Wondering What's the Regime for Fresh Apple Sparkling Pore Care Range?